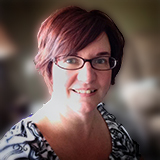 My name is Amy Johnson Crow, and I am a Certified Genealogist who has been doing genealogy for more years than I care to admit to. I have a Masters degree in Library and Information Science from Kent State University. My roots run deep in Ohio (mostly in the southeastern counties), Pennsylvania, West Virginia, and Maryland. I love researching the Civil War. I don’t think I’ve been to a cemetery that I haven’t liked. No Story Too Small is all about discovering the stories of our ancestors. When we think of stories, we often think of the epic stories – sailing the ocean, crossing the prairie in a covered wagon. But life is made of stories of all sizes. NSTS celebrates them. NSTS shares not only stories, but also resources where you can discover the stories of your ancestors. Sit back. Read some stories. Find inspiration to find your ancestors’ stories. And remember that there is no story too small. Do you need a professional researcher? Are you looking for a speaker for your next event? Check out AmyJohnsonCrow.com for details. I look forward to hearing from you!